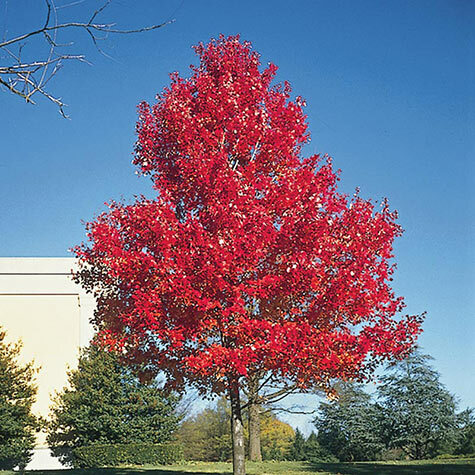 Scarlet Maple Tree | Gurney's Seed & Nursery Co. Produces red-tinted, winged seeds very early in spring. Leafs out emerald green; turns fiery red-orange in fall. 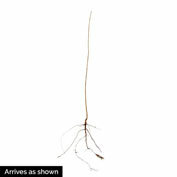 Grows 50-60 ft. tall with a symmetrical rounded head. Resistant to wind damage. Zones 3-9. Spacing: 30 - 40 feet. Spread: 30 - 50 feet. 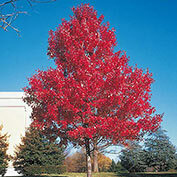 Foliage: Starts out emerald-green, turns bright red and then takes on tones of gold and orange in Fall. Flower Form: Large panicles - showy. Soil Requirements: Well-drained, acid to nuetral soil. 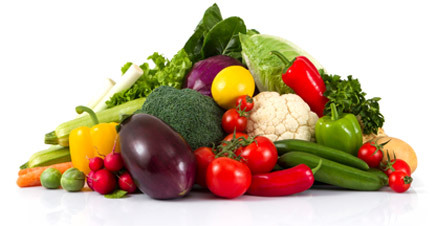 Avoid alkaline soil. Pruning: Prune if needed in late Summer. Comments: Dependable tree. Prefers acid soils. Shallow rooted. Well adapted to urban conditions. Excellent specimen or shade tree. Sturdy branches resist wind damage. Tree is drought tolerant, wet site tolerant and pollution tolerant. Commonly lives up to 150 years. Also known as Swamp Maple. Unable to ship to: AE, AK, CT, GU, HI, PR.